Now rolling into your OR . . . EcoDri-Safe™ Absorbent Rolls. Go right to the mess for quick, efficient cleanup. Easily contain fluids and streamline OR cleanup procedures with Flagship Surgical's EcoDri-Safe™ Absorbent Rolls. These economical, disposable floor pads are ideal for use wherever fluids build up, including in the OR, around scrub sinks and on lab station floors. Our super absorbent, disposable floor pads eliminate expensive laundry costs and reduce OR turnover times. EcoDri-Safe Rolls help prevent slips and falls, and minimize the transmission of harmful contaminants to healthcare providers. OR clean-up times are significantly reduced, and with efficient disposal these pads help prevent cross-contamination. The super absorbent pad material is manufactured with up to 33% recycled materials. An impermeable, non-slip poly backing (optional) promotes safety by locking liquid within the absorbent material, and also helps keep the pad firmly in place. 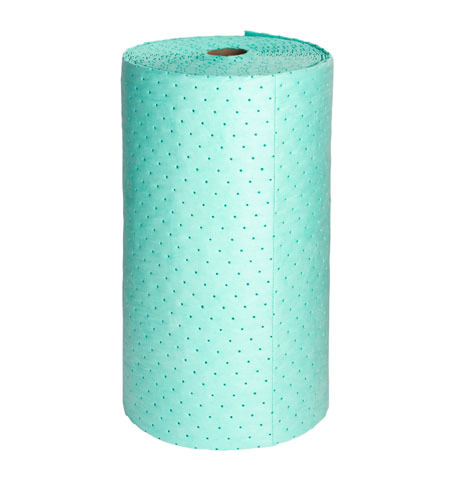 ﻿EcoDri-Safe Rolls are available in 100 foot rolls, both with and without the impermeable, non-slip poly backing, and are perforated every 20 inches for easy tear-off. 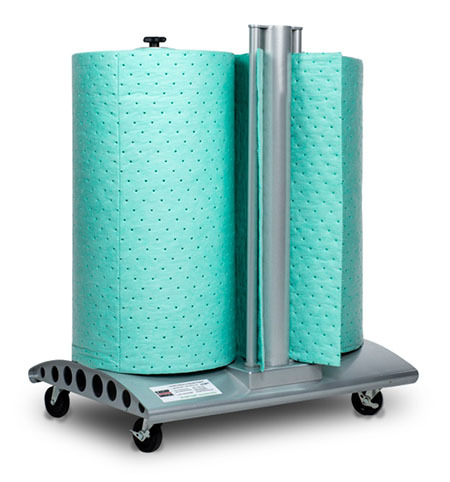 Our companion Wheeled Multi Dispenser allows for easy storage and transportation of the EcoDri-Safe Rolls throughout the surgical facility, freeing up valuable shelf and storage space in the Operating Room. No heavy lifting required!